Wow. 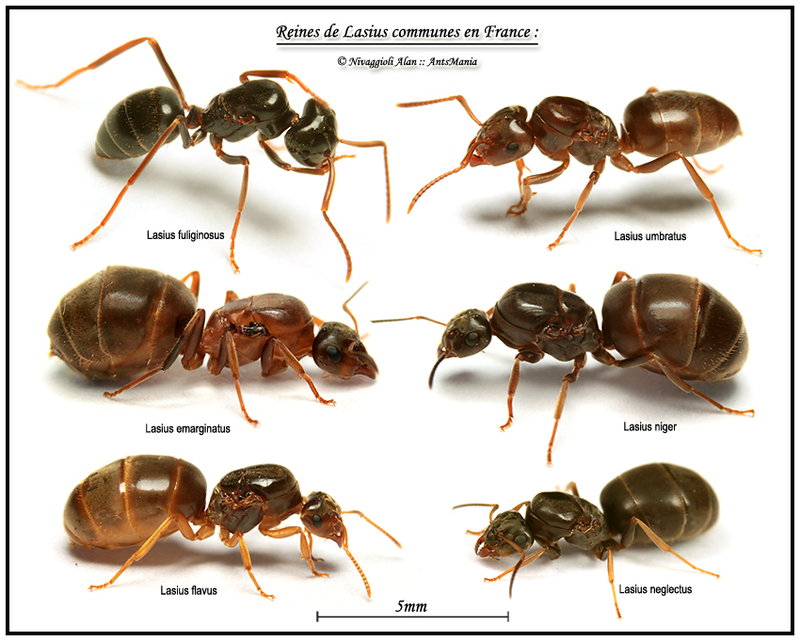 The Lasius fuliginosus and umbratus look so different in comparison to the other queens. Less bulky. Are they social parasites? Yes they are social parasites, they go into other colonies [like Lasius niger] and kill the queen and take over, just like Myrms Lasius umbratus colony. That's quite sad but interesting. So to keep either in captivity you would have to also keep a host colony or at least have access to one to provide the queen with eggs? Some people have had success just giving queens cocoons.